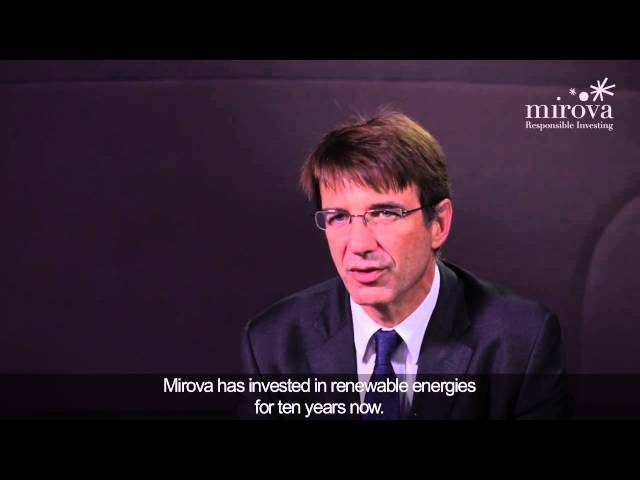 Further to the notice on December 27th and December 30th, 2013 announcing the establishing of Mirova, a 100% subsidiary of Natixis Asset Management (the management company of the Mirova Funds SICAV) as the delegate investment manager of all the sub-funds of Mirova Funds SICAV, the delegation to Mirova has been effective on January 1st for all sub-fund excepted for the Mirova Euro Sustainable Corporate Bond fund. The delegation of the investment management for the Mirova Euro Sustainable Corporate Bond sub-fund will be effective on January 31st, 2014. The delegation of the investment management has no consequence on the investment strategy or on the risk and return profile of the sub-funds. The characteristics of each sub-fund and each share class will remain unchanged. This operation does not imply any cost for the shareholder. The revised Prospectus of the SICAV and the Key Investor Information Document for each of the sub-funds are available at the registered office of the SICAV. - Mirova : Immeuble Grand Seine – 21, Quai d’Austerlitz – 75 634 Paris Cedex 13 France. - Via email : nam-service-client@am.natixis.com.